Today Synchrony Bank (wholly-owned subsidiary of Synchrony Financial NYSE:SYF) owned the IG dollar primary market leaderboard with its $750mm 3(a)5 exempt 3-year senior bank notes transaction. What’s more, Mischler Financial, the nation’s oldest Service Disabled Veteran-owned and operated broker dealer was honored to be named as an active 1.00% Co-Manager. Thank you to stalwart Chris Coffey who is no stranger to diversity and inclusion mandates in our DCM. Chris was there from the get-go back in his days at MBNA when during his time he helped steer that issuer to become a founding father of inclusion transactions along with some other large FIGs. That pre-dates Chris’ GECC days! We appreciate SYF’s patronage and our active role today. Thank you as well to both Citigroup and MUFG Syndicate and of course, to the best darn middle markets distribution network on the street for your loyalty and continued belief in and support of the “value-added” proposition. Congrats also to Chris for his first Friday print at SYF and for his efforts in continuing to implement and guide a stellar diversity mandate that saw 7 diversity firms on today’s new 3-year that included a Service Disabled Veteran-owned broker-dealer three African-American-owned BDs a Hispanic-American owned firm, and a Woman-owned firm. Today’s final Synchrony order book finished at just over $1.8b making the deal 2.40-times oversubscribed. Concession on today’s deal was negative 2 bps given new 5-year SYF bank paper is +135. Adjusting <35> bps for the 3s/5s curve gets you to +100 against today’s final T+98 pricing pegs NIC as <2> bps. A nice day for SYF, the leads and congratulations to Chris on a successful first Friday print at Synchrony! Net, net – a VERY GOOD RESULT for all! The IG Corporate WTD total is 96.86% of this week’s syndicate midpoint average forecast or $32.855b vs. $33.92b. MTD we’ve priced 68.69% of the syndicate forecast for April IG Corporate new issuance or $92.625b vs. $134.84b. There are now 17 issuers in the IG credit pipeline. The average spread compression from IPTs and/or guidance thru the launch/final pricing of today’s 1 IG Corporate-only new issue was <14.50> bps. BAML’s IG Master Index was unchanged at +114. (It’s post-Crisis low is +90 set on 2/01). Bloomberg/Barclays US IG Corporate Bond Index OAS widened 1 bp to 1.09 vs. at 1.08. (0.85 is its post-Crisis low set on 1/30). Standard & Poor’s Investment Grade Composite Spread was unchanged at +147. (+125 represents its post-Crisis low set 2/02). Investment grade corporate bond trading posted a final Trace count of $19.7b on Thursday versus $20.8b on Wednesday and $19.1b the previous Thursday. The 10-DMA stands at $17.9b. Taking a look at the secondary trading performance of this week’s 43 IG new issues comprised of 38 IG Corporates and 5 SSAs new issues 25 tightened versus NIP for a 58.25% improvement rate, 13 widened (30.25%) and 5 were flat (11.50%). For the week ended May 16th, Lipper U.S. Fund Flows reported a net inflow of $3.069b into Corporate Investment Grade Funds (2018 YTD net inflow of $40.444b) and a net outflow of $541.871m from High Yield Funds (2018 YTD net outflow of $15.381b). U.S. Treasuries – ended a poor week with a solid rally. Overseas Bonds – JGB’s unchanged. Bunds/Gilts rallied. Peripheral bonds were hit. SOFR – 1.74% FROM 1.75%. 3mth Libor – 2.32938% from 2.33125%. Stocks – Mixed as of 3pm. Overseas Stocks – Asia closed higher. Europe lost ground. Economic – Nothing on the calendar today. Overseas Economic- – Japan CPI was very tame. Europe inflation data MoM was higher. Currencies – DXY Index traded at a YTD high, Euro YTD low and ADXY Index at a YTD low. Commodities – Crude small loss. Gold up and copper down. Wheat saw a big rally. Taking a look at the secondary trading performance of this week’s 43 IG new issues comprised of 38 IG Corporatesand 5 SSAs new issues 25 tightened versus NIP for a 58.25% improvement rate, 13 widened (30.25%) and 5 were flat (11.50%). Thanks as always for tuning in to the daily “QC”, enjoy your read in preparation for the week ahead along with my impassioned plea to enjoy a fabulous weekend with you and yours! I am happy to announce that the “QC” once again received 100% unanimous participation from all 24 desks surveyed for today’s “Best & Brightest” Syndicate edition! Thank you to all of them. 21 of today’s respondents are in the top 22 syndicate desks including 21 of the top 24 according to today’s Bloomberg U.S. IG U.S. Investment Grade Corporate Bond underwriting league table. The 2018 League table can be found on your terminals at “LEAG” + [GO] after which you select (U.S. Investment Grade Corporates). The participating desks represent 81.00% of all IG dollar-denominated new issue underwriting as of today’s table share percentage which simply means they are the ones with visibility. But it’s not only about their volume forecasts, it’s also about their comments! This core syndicate group does it best; they know best; so they are the ones you WANT and NEED to hear from. It’s a great look at the week ahead. 5/17 – Kim Jong-un warned that the de-nuclearization summit could be compromised due to John Bolton’s paralleling a NOKO-U.S. de-nuke deal with the Libyan “model of nuclear abandonment.” Bolton is highly qualified but needs to tone down and save the rhetoric for if and when needed – not prior to the historic summit. 5/14 – Although Pres. Trump reversed sanctions on China’s ZTE telecom it was done in exchange for China agreeing not to impose tariffs on U.S. agricultural products that had been levied in response to Trump’s earlier steel and aluminum tariffs. 5/14 – Tensions mounted in the Middle East as Israeli troops fired on protesting Palestinians along the fenced Gaza strip killing 55 and wounding over 1,700. More violent and armed men were intermingled with the mostly peaceful Palestinian demonstrators including families with children. Once they burst through fencing Israeli snipers began to shoot into the onrushing crowd. The protest happened to coincide with the opening of the U.S. embassy in Jerusalem leaving friction at its highest level in years in the historic conflict. 5/16 – U.S. interest rates: The strong U.S. economy is supporting rising UST yields. T2s & 5s reached highs since 2008; CT10 since 2011 and the LB peaked at 3.10% (2015) a higher yield trading band is established. The sensitivity of EM currencies to higher rates is chronic. Combined with their own additional political risks, EM risks falling out of favor as currencies fall out of bed. 5/17 – Pressure on UK PM Theresa May mounts as Britain’s House of Lords dealt BREXIT its 15th defeat, this time over environmental protections issues by a 54%-46% margin. In addition, friction intensified between supporters of a post-BREXIT customs partnership with the EU vs. resistance by those who support technology to monitor the critical border between Ireland and Northern Ireland. May 2018 Terror Event MTD Casualty Total: 79 terrorist attacks; 618 dead; 781 wounded. 5/17 – Italy’s two ant-establishment parties 5-Star and League plan tough immigration reform, lifting all sanctions against Russia, creating 2 tax brackets of 15 and 20%, dropping a previously increased retirement age and a citizen’s income for the poor. Wishful thinking! The IG Corporate WTD total stands at $32.855b. We priced $1.065b less than this week’s average midpoint estimate of $33.92b or <3.14%>. MTD we priced 68.69% of the syndicate midpoint forecast for IG Corporate new issuance or $92.625b vs. $134.84b. Entering today’s session, the YTD IG Corporate-only volume is $557.296b vs. the $574.314b YoY which is <$17.018b> or <2.96%> less than a year ago. The all-in or IG Corporate plus SSA YTD volume is $705.361b vs. $717.956b YoY making it <$12.595b> or <1.75%> less than vs. 2017. Week on week, average NICs widened 0.49 bps to an average 4.59 bps vs. 4.10 bps across this week’s 43 IG Corporate-only new issues that displayed relative value. Over subscription or bid-to-cover rates, the measure of demand, increased by 0.26x to an average 2.96x vs. 2.70x. Average tenors extended by 3.14 years to an average 10.18 years vs. 7.04 years. Tranche sizes increased by $37mm to $842mm vs. $805mm last week. Spread compression from IPTs to the launch/final pricing of this week’s 43 IG Corporate-only new issues tightened by 2.21 bps to <15.12> bps vs. <12.91> bps. Standard and Poor’s Investment Grade Composite Spread tightened 1 bps to +147 bps vs. +148 week-on-week. Bloomberg/Barclays US IG Corporate Bond Index OAS thru this morning tightened 2 bps to 1.09 vs. 1.11 week-on-week. The VIX widened 0.78 or 6.16% to 13.43 at yesterday’s close vs. last Friday’s 12.65 close. Week-on-week, BAML’s IG Master Index tightened 2.00 bps to +114 vs. +116 week-on-week. Spreads across the four IG asset classes tightened 2.00 bps week-on-week to 18.75 vs. 20.75 bps as measured against its cumulative post-Crisis low. Spreads across the 19 major IG industry sectors tightened 1.89 bps to an average 25.11 vs. 27.00 bps as measured against their average cumulative post-Crisis lows! Please know that on each and every new issue, the guy-in-the-corner is ALWAYS in YOUR corner on deal day! If an issuer asks you who are some of the best diversity firms are, my hope is that you’ll mention Mischler Financial and the guy-in-the-corner. Our distribution is high quality, prolific and consistent. On deal day, we perform enough to influence your bid-to-cover rates with REAL high quality and unpadded “sticky” investor orders. 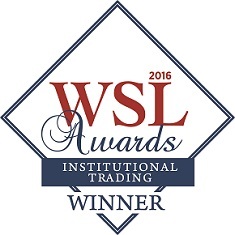 The “QC” won Wall Street Letter’s Award as Best Broker Dealer Research in our financial services industry for three consecutive years… 2014, 2015 and 2016! But most of all we have a great certification-the nation’s oldest Service Disabled Veteran owned and operated broker dealer. Above is the opening extract from Quigley’s Corner aka “QC” Friday May 18, 2018 weekend edition distributed via email to institutional investment managers and Fortune Treasury clients of Mischler Financial Group, the investment industry’s oldest minority broker-dealer owned and operated by Service-Disabled Veterans.